Robotics has been advancing in the recent years with the development of systems bearing more and more complicated designs and handling complicated tasks. 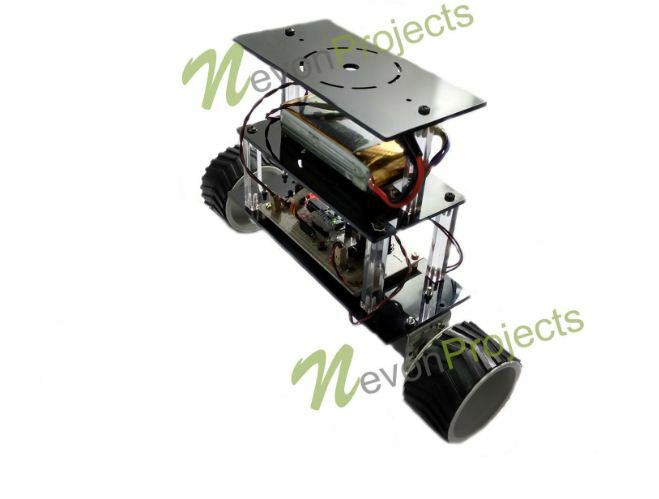 Self Balancing Robot is one such step which promotes that a robot should be able to have locomotion using the balancing capabilities just as the humans also possess. This opens for the robots a plethora of task types which they can perform in the way humans do. 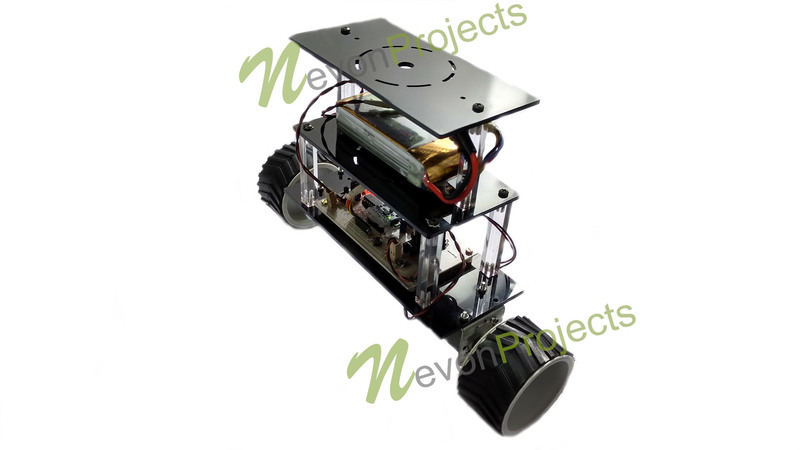 The Self Balancing Robot Project consists of an Atmega328 microcontroller controlled system which with the help of its sensors mounted on the robot is able to balance the robot in upright posture. If the robot is given a jerk in forward direction to tilt it in forward direction then it will oppose that force and try to be in the balanced position as it was. Similar is the thing for force from any direction on the robot, it will always try to remain balanced. The robot also has excellent direction sense which helps it avoid any divergence of its course to another even if forced to do so. 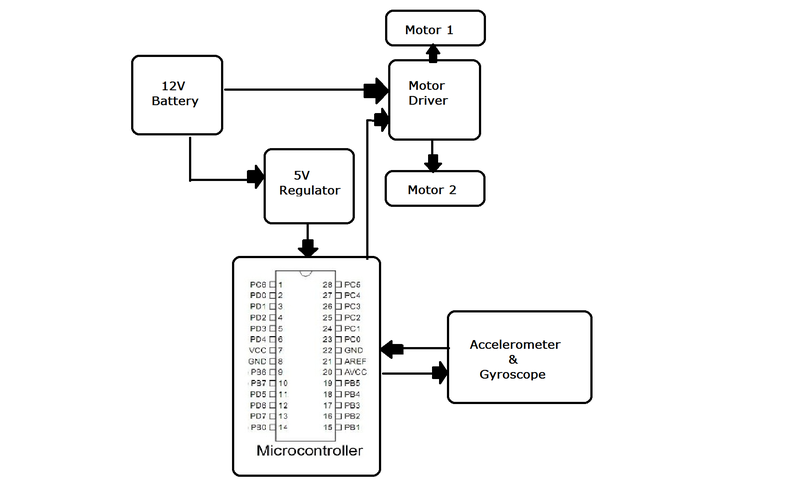 The abilities of this robot is acheived with help of inputs from acceleromter and gyro sensors and outputs to the motor control section of the robot. 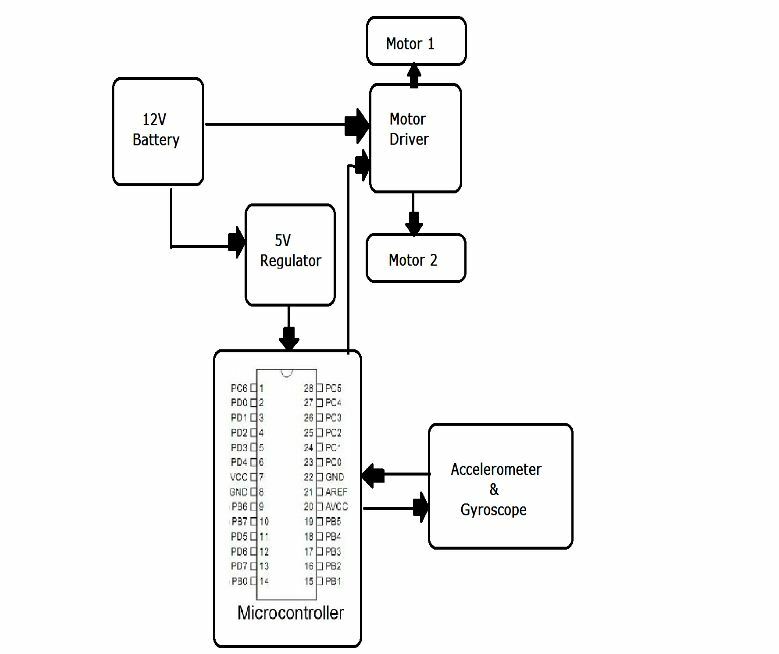 Thus the user can take advantage of its seamless balancing and directional abilities of this battery operated self balancing as a step in advancing towards modern era in robotics.